Find and apply for a summer job at one of the Hire Houston Youth on-the-spot hiring events from Saturday, April 14 through Saturday, June 16, 2018. Mayor Sylvester Turner’s Hire Houston Youth initiative, in partnership with the local McDonald’s owners/operators of Greater Houston, is hosting a series of on-the-spot hiring events through Saturday, June 16, in an effort to employ thousands of Houston area youth, ages 16 to 24, this summer. 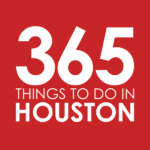 Summer employment opportunities are available from a number of Houston area companies including McDonald’s, Hilton Americas Houston, Jack in the Box, Walgreens, Landry’s, Walmart, HEB and more. All positions are paid, offering at least $8 an hour. Most opportunities start on Tuesday, June 19 and end no sooner than Tuesday, August 4, with some opportunities available right away.